Georginio Wijnaldum (r.) made it 2-0 to Liverpool late in the second half. 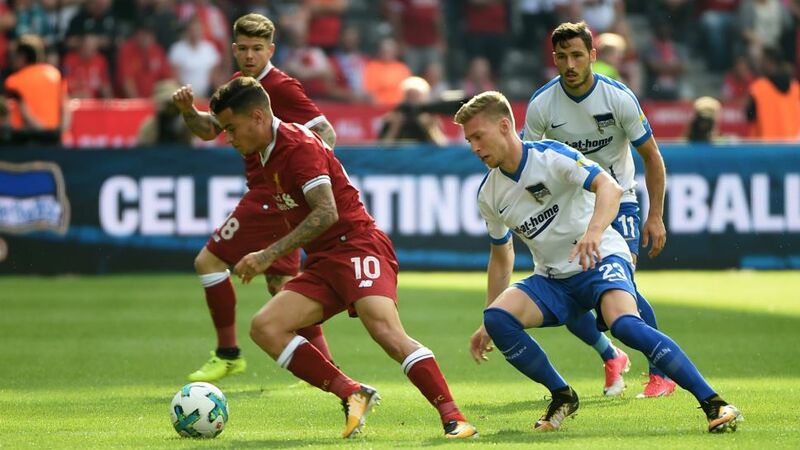 Former Mainz and Borussia Dortmund coach Jürgen Klopp brought his Liverpool team to Germany for a pre-season friendly against Hertha Berlin to celebrate the capital club's 125th anniversary. The visitors soon set about disrupting the party mood in the capital, however, eventually running out 3-0 winners against a Hertha side still looking to gel ahead of the new Bundesliga season.